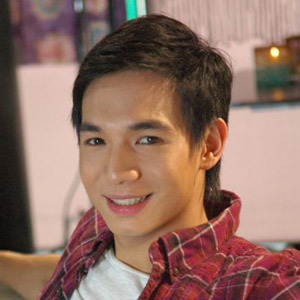 Chris Tiu will present videos of matchups between humans and animals in his newest GMA-7 show, Man vs. Beast. Sheena Halili and Chariz Solomon appear with him in the show that will premiere on March 26. "Avid fans of basketball star Chris Tiu can catch him hosting another fascinating and entertaining show in GMA. Man vs. Beast begins airing this Saturday, March 26. "Chris has always been viewed as a disciplined athlete, youth role model and young achiever. He has also been identified as a host of infotainment shows on GMA-7. "From Pinoy Records to Ripley’s Believe It or Not, and even Hanep Buhay, Chris has proven himself to be a credible source of information and entertainment. "In his new show Man vs. Beast, Chris presents videos of match ups between humans and various animals and how one kind surprisingly beats the other in a head-to-head challenge. "With bubbly ladies, Sheena Halili and Chariz Solomon, Chris details how far determination and abilities can take animals and human beings in each duel—from hotdog-eating contest to obstacle race. "Join Chris and discover who will really prevail between human and beast in this four-episode presentation brought by GMA in cooperation with Fox Television. "Shown back-to-back with Spooky Nights Presents: Bampirella, Man vs. Beast airs after 24 Oras Weekend every Saturday starting March 26 on GMA-7."